A debriefing on denim shorts. This sort of arse shrink-wrapping complete with homeless pockets is worn by 79% of young women aged 18 to 22 (range amended following legal advice) who wiggle and sashay around shopping centres. Tardis-shorts also don’t comply with the laws of gravity. They’re constantly inching higher and higher away from the Earth’s centre of gravity….presumably attempting to launch themselves, vacant and unpersoned, on new time-travel adventures into unexplored places and the distant corners of the galaxy. All that prevents take-off is a narrow retaining band of tattered textile and frequent yanking back downwards by the owner…...at an average frequency of seven times every minute. Thank goodness. Let’s count our blessings. Australia has already been sucked into a vortex of depravity, wickedness and turpitude. The last thing we need to see is seething scrums of bare-assed young sheilas mooning around public places accelerating our progress toward eternal damnation. Posted in Uncategorized and tagged australia, humor, life, sarcasm, satire. Bookmark the permalink. 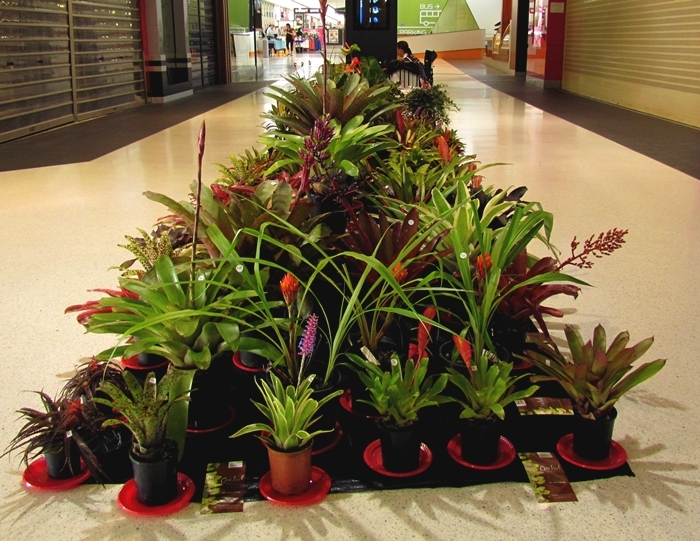 More observations in Shopping Centres. 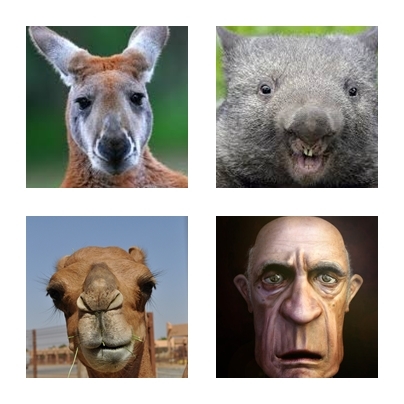 Kangaroos, wombats and camels are much prettier. The growing numbers of Hispanic, Asian and Scandinavian immigrants make us look even worse. It’s no wonder England rounded up all of our hideous forefathers who were a blight on the picturesque hills and dales before shipping them off to Australia two centuries ago. Since then we’ve just bred indiscriminately with the first person who was too slow to slam the gate shut on our libidinal inquisitiveness. The result is a genetic train wreck. We are now a pox on the beautiful face of our wide brown land. Cosmetic attempts are being made to beautify the human landscape. Three quarters of all men below the age of 35 now have ‘artwork’ tattooed on their arms. 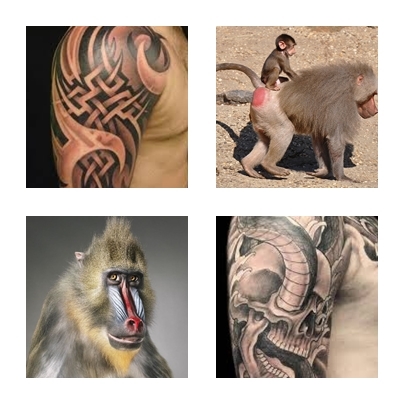 Just like the Mandrill monkeys with hair-capes over their shoulders and Hamadryas baboons and their striking pink buttocks, the tattoos at least provide an element of distraction from all the unsightliness existing above the neckline. 2. Being whacked on the scone with a nulla-nulla. 3. Shish-kebabing with a red-hot greased scimitar. 4. Compulsory cross-breeding with a Venezuelan. And I’m not finished yet. To be continued………………….perhaps from Antarctica or South America. Economic necessity dictates that one day each week I have to get up before sparrowfart, drench myself with underarm stench-suppressant and slip into snazzy town clobber before motoring off to the big smoke to sell some potted plants. We’ve been making a living like this for 29 years, the first fourteen of which were spent trading beneath blue plastic tarps at various nondescript flea markets during all kinds of weather. Shopping centres opened their hallowed airconditioned vestibules and galleries for desperate distinguished stallholders like me in 1999. Since then I’ve spent thousands of hours observing, taking notes, and scientifically evaluating the behaviour of my fellow Australians in their modern natural habitat; supermarkets and shopping centres. 1. Facts about Aussie blokes. 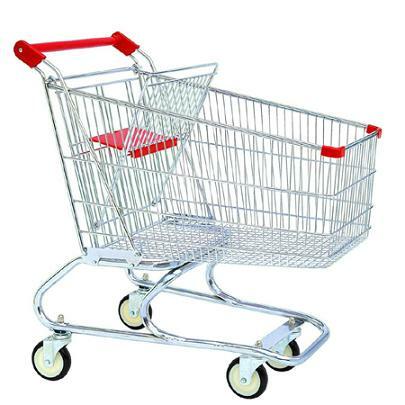 Twenty two percent of Australian men aged between 41 and 70 need a shopping trolley to aid locomotion. They hoist and heave their magnificent quivering beer-bellies up on top of the trolley with breathless grunts of satisfaction before wheeling them into the shopping centre. Without the trolley the entire human organism would simply topple forward and coalesce into an amorphous blubbery blob on the floor. These occurrences require mechanical or team intervention to stand the mass up again and mould it back into something vaguely resembling an evolved vertebrate. 2. 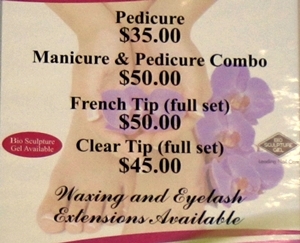 The truth about Manicure and Pedicure salons. 12% Manicure and pedicure treatments proved to be so elegant, glamorous and eye-catching that I would be favourably disposed to employing them all as Potting Mix Shovelers at GOF Horticultural Corporation. 87% Nail painting was about as useful for improving physical beauty as thimbles would have been for bailing out the sinking Titanic. 1% Never came out again. Assume they were asphyxiated by the noxious acrid fumes and ended up being disposed of in the industrial dumpster bins out the back. Posted in Uncategorized and tagged humor, life, sarcasm, satire. Bookmark the permalink. It is almost a quarter of a century since my Mum died at age 82. She gave her solitary boy life and love and freedom. The first two were unconditional, but she never let me forget that freedom comes with responsibilities and consequences. Here are a few words for her on Mothers Day just to let her know she’s not forgotten. Again I think of you. Who taught me what to do. But then you let me go. There were cuts and scrapes and bruises. And almost broke my arm. A bad word, yes, I know. To swear……… then let me go. Of gifts you did bestow. …..but then to let me go. Posted in Uncategorized and tagged family, life, mothers day, philosophy, poetry. Bookmark the permalink. Matthew Mark Luke John Osborne, a British tourist, was recently arraigned in Cairns on charges of stealing a $250,000 Argyle pink diamond. There is a possibility that he’d swallowed it at some stage for safe-keeping whilst decamping from the scene of the crime, but investigating detectives were too late to intercept the passage of the precious rock. Only M M L J O knows where it is now. 1. Would the diamond have lost value in transit due to diminished lustre and glitter? 2. Would it have gained value because of it’s celebrity and unique provenance? 3. Would this diamond still be a girl’s best friend if it were slipped on her finger in the form of an engagement ring? 4. Would she ever lick melted ice-cream off her ring finger. 5. Did Mr and Mrs Osborne impose an unreasonable burden of saintly expectation on their boy-child by naming him Matthew Mark Luke John? 6. Would he have lived a more law-abiding life if he’d been baptised Titus Philemon Thessalonian Revelation Osborne instead? 7. Why didn’t they name him John Paul George Ringo Osborne? Posted in Uncategorized and tagged cairns, crime, humor. Bookmark the permalink. Occasionally in the past I’ve tried to describe the sense of magic, freedom and exhilaration that comes with flying aeroplanes. Each time my vocabulary has disappointingly lacked appropriate superlatives. Now I’ve discovered a 4-minute video which does the job much better. It is a pilot’s eye view of the final approach into Queenstown, New Zealand. Beginning with breathtaking views of solid gold mountain tops before descending through a blanket of cloud. We are then treated to aviation’s most astonishing conjuring trick; making an airport runway appear out of nowhere. Instrument Landing Systems must surely be high on the list of mankind’s greatest technological achievements. PS….It does however worry me slightly that the aircraft still seems to be traveling rather fast when the video cuts out at the far end of the runway. Posted in Uncategorized and tagged aeroplanes, aviation, flying, ILS, nature. Bookmark the permalink.